The CNS has to filter the overwhelming stream of information provided by the various sense organs, while optimizing detection of behaviorally relevant information. One prominent sensory filtering phenomenon is prepulse inhibition (PPI), which is thought of as a sensory gate that attenuates inputs of a secondary event (pulse) while a preceding event (prepulse) is being processed. Deficits in PPI are observed in a range of information processing and attention disorders, notably schizophrenia. However the cellular mechanisms underlying PPI have remained largely elusive. 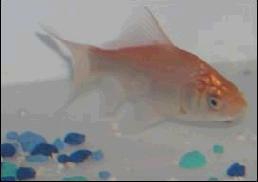 We have begun to determine these mechanisms in the goldfish auditory evoked startle escape system. Our electrophysiological results demonstrate an auditory prepulse significantly attenuates the synaptic response to a subsequent sound pulse in the Mauthner cell, thus provides a cellular correlate for PPI with physiological stimuli. Moreover, a prepulse stimulus induces a long-lasting decrease of Mauthner cell excitability, due in part to a change in intrinsic membrane properties. Our current focus is to identify the specific mechanisms underlying PPI in the Mauthner cell system and to determine the neurotransmitter/s involved. There is great interest in the linkage between environment, behavior and genes and the cellular and systems mechanisms mediating this linkage. We have demonstrated that the Mauthner cell system can be used as an identifiable target for behavioral, electrophysiological, molecular, and genetic techniques. Startle escape behavior is socially regulated in the African cichlid Astatotilapia burtoni. Moreover, we have described plasticity in prepulse inhibition depending on social status in this species. A. burtoni is an ideally suited model system because of its naturally occuring, elaborate and reversible social hierarchy of distinct social phenotypes, dominant/territorial and subordinate/non-territorial. Field studies suggest the former are more vulnerable to predation due to their more conspicuous, colorful appearance and activity patterns and therefore express adaptive behavioral and physiological changes in their startle escape response. We quantify differences in behavioral characteristics and Mauthner cell physiology between the two phenotypes. We also use behavioral pharmacology and electrophysiology to investigate the roles of serotonin and dopamine in modulating Mauthner cell function and have adapted single-cell molecular techniques for identifying the molecular correlates of social regulation at the level of a single cell. The balance and relative timing of excitation and inhibition is increasingly believed to be of critical importance for sensory coding and neural decision-making in the central nervous system. However, the neuronal integration steps that occur within sensorimotor networks in response to sensory input are not well understood due to the limited access to mechanisms at the cellular level, especially in vertebrate neural systems. We address this issue by combining electrophysiological and behavioral investigations in the goldfish Mauthner cell system. We quantify behavioral measures to predict the neural transformation underlying the decision-making process used by the animal to avoid collision with an approaching object. Our results imply that the threshold (decision) function is the product of a multiplication of excitatory and inhibitory dendritic signals reflecting the increasing retinal image size during object approach. We recently have shown this multiplication is biophysically implemented by a non-linear interaction at the level of the Mauthner cell. We also ask how the Mauthner cell processes multimodal sensory inputs with different temporal characteristics i.e., gradual visual loom stimuli and abrupt sounds (mimicking a diving bird breaking the water surface) to generate a behavioral decision.